As someone with a self-proclaimed allergy to self-help books, it took me a long time to admit that goal setting should become a key part of my life. Setting goals encourages you to think critically about what you want from your personal and professional lives, and enables you to create a structure that will help you achieve those desires. 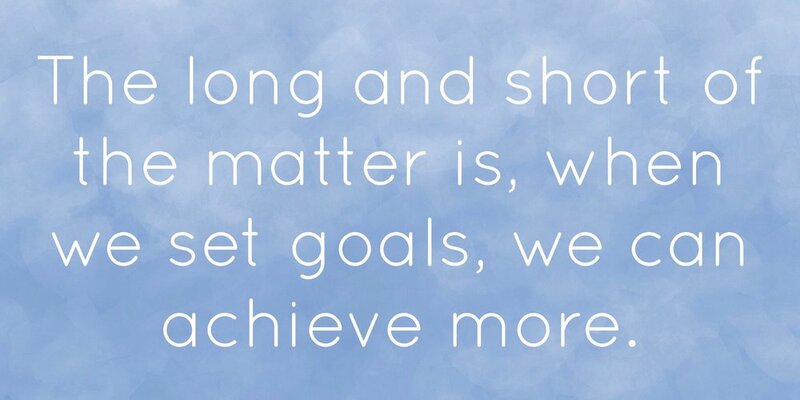 The long and short of the matter is, when we set goals, we can achieve more. Everyone will have their own preferences for the time frame of the goals they set themselves, but one great recommendation comes from Sheryl Sandberg, who suggests creating a Long Term Dream, and then a more actionable 18 month goal. In addition to these longer-term goals, I personally like to set myself several monthly goals that I've designed to roll up into my 18 month and long term goals. This way I know that I can fo- cus on the smaller elements of a larger goal, without losing sight of the finish line. The process of setting goals can often feel overwhelming, so I've broken it down into 5 easy steps. The first step to goal setting is to evaluate your successes and opportunities. Next, look at the opportunities you've identified and consider the types of goals you might want to set for yourself. Remember that your goals should encourage you to push yourself and result in new opportunities for you both personally and professionally. When setting a professional goal, ask yourself what will produce the biggest results and impact for your career. Are there any problems within your organization or depart- ment that need to be solved? Can you help orchestrate a solution, or–even better–solve the problem yourself? When setting personal goals, ask yourself what new skills you could learn that would improve your life. A great way to look at this, as suggested in Sheryl Sandberg's Lean In, is to ask yourself what you're afraid of doing. Starting with things you're afraid or hesitant about will give you the opportunity to consider skills that you may be unfamiliar with, and is a great way to begin shaping your goals. Once you've identified the general idea of the goals you want to achieve, it's time to SMART-en them up. SMART is a common acronym used to help ensure that goals are Specific, Measurable, Attainable, Realistic, and Time-Bound. Each of these is an essential part of setting a goal that is achievable. In this phase, you’ll also want to consider what steps you can take to achieve your goals. If your goal is to learn a new skill, perhaps there are online courses at places like lynda.com or Skillshare that can help. If your goal is to build relationships, try searching out like-minded people on meetup.com or through other local networking channels. I recommend brainstorming a few different specific actions you can take on the path to achieving your goal. Breaking down your goal into these actions, or tactics, is a great way to keep you on track, and these individual tactics can then be turned into monthly goals which provide the satisfaction of short term achievements along the way. Now that you’ve identified your goals and the steps you can take to achieve them, it’s important to keep yourself accountable. There are lots of great ways to do this; some that work for me are sharing my goals with friends and colleagues, and writing down my monthly goals in my bullet journal where I like to check them off as I achieve them. If you’re a visual person, you could also try making a vision board by gathering together inspirational photographs and quotes that will motivate you. When making goals, it's essential that they become a part of your daily routine, not a dream that gets written down and then forgotten. Look at your goals often, and keep brainstorming new tactics you could take to achieve them. It’s also important to allow yourself to be flexible. As your skills and experiences grow, you may also want to revisit your goals and adjust them to better match your new knowledge and understanding. By following these five steps, you’ll be able to create relevant, impactful goals that will help you to achieve personal and professional success. Setting goals has enabled me to work harder and smarter, towards outcomes that excite and inspire me. I hope that this post will inspire you to set goals that do the same for you! To my mind, this study highlights the absolute necessity of Shine Theory in the lives of every professional woman. After all, as we’ve learned, when women amplify each other’s accomplishments, incredible things happen. Wondering how to make incredible things happen in your own personal and professional life? The first step is connection. Dedicated women’s organizations have been around since the mid 1800’s. Starting with pioneering organizations such as Sorosis and the New England Women’s Club, the Club Movement, as it became known, provided women who were otherwise without any political voice a space to gather and organize. Clubs also were some of the first instances of organized political work, accomplishing goals such as the building of libraries and parks, often through sheer persistence and determination at town councils. Although these clubs began as segregated, upper class associations, they sparked a trend of women banding together for the purposes of political involvement, education, and edification. Today, groups such as The Lean In Organization and The Wing are shining examples of what Women’s Clubs can look like on a larger scale, and with an intersectional mindset. 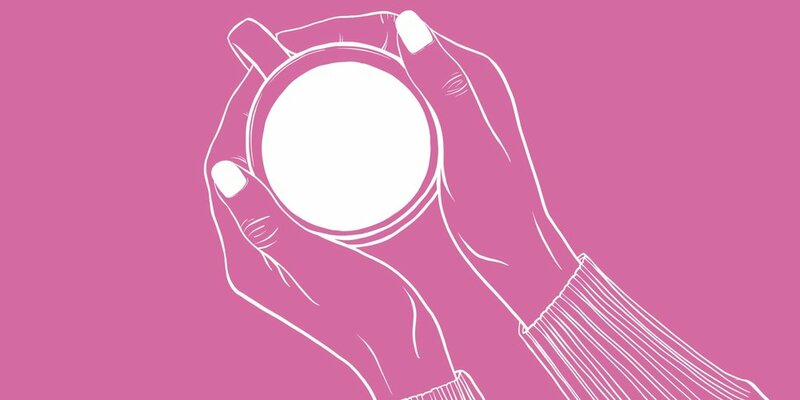 While these exceptional organizations exist on a larger scale, I believe that every woman should consider the benefits of building a smaller circle closer to home. This past winter, I banded together with some fantastic like-minded women at my office to form what we refer to as a Shine Coalition. The concept is a simple one, we’re a group of women who work together, meet often, have each other’s back, and are committed to highlighting the accomplishments of one another. The advantages of a Shine Coalition are numerous. You have a group of allies, a team who are committed to amplifying each other’s achievements, women who want to see each other succeed and cheer each other on while doing it. I am a firm believer that no two groups need to function identically, or follow a certain set of protocols–so once you’ve found a group of like-minded people in your office or community, start by entering into an open dialogue about what types of meetings would work best for everyone. This could take the form of bi-weekly lunches, or even periodic group video chats if distance is a problem. While every Shine Coalition should and will take its own form, I thought it might be helpful to share what my group does to stay in touch with one another. We work in STEM, so technology is a big part of our day-to-day lives in the office. We created chats in Google Hangouts and Slack where we can share our daily thoughts as well as make plans and discuss any upcoming meetings. We also use these channels to share interesting articles we’ve read, talk about the books we’re reading, or just to share funny gifs that brighten our days. We try to meet weekly or bi-weekly for lunches where we can all sit down together and talk face to face. We don’t force a schedule or an agenda out of these meetings, but the conversation often involves the projects we’re working on in and outside of the office, as well as our career and personal goals and how we are progressing towards them. Since we began these lunches, we’ve been able to celebrate well-deserved promotions, smart career moves, new home ownership, and many more wonderful events in the lives of our Shine Coalition Members. Another great practice we’ve adopted is scheduling feedback sessions with each other prior to any big presentations we are delivering. This gives us the opportunity to go over our material in a safe space, and to receive valuable feedback that helps improve and polish our presentations. Speaking from personal experience, I’ve deeply benefited from the feedback I’ve received from the group, on everything from content memorization techniques, to narrative flow suggestions. Of course, we are always committed to amplifying the ideas of one another. This means that whenever we are in meetings together, we ensure that we are actively listening to each other’s ideas and speaking up on behalf of one another if we find that people are interrupting or not listening. We also amplify each other’s work and accomplishments in day to day conversation around the office and on our office’s internal Facebook site–which is easy to do, as we are all so proud of each other’s accomplishments that we generally cant help but celebrate! I’ve stated before that forming these relationships with this group of women has truly been a life-changing experience for me, and hopefully these examples of the tactical ways in which we support each other are evidence of that. Prior to our Shine Coalition, I often felt overwhelmed with the pressure of managing everything alone, and having to find all the answers within myself. Bonding with other talented and driven women has been a game changer, and a huge boost to both my personal and professional lives. I hope this post will inspire you to build similarly empowering relationships with the women in your lives, and to take full advantage of the wonderful wisdom and support you each have to offer. Three Ways to Practice Shine Theory Every Day. Shine theory was first coined by journalist Ann Friedman in an article for The Cut, published in May 2013. In the article, Ann speaks about the culture of competition amongst women and the feelings of resentment against those who we perceive to be happier or more successful than ourselves. "But even if it were somehow possible to objectively evaluate all of our female peers against ourselves, it’s worth asking why we’re spending all this time creating a ranking system in our minds. When we hate on women who we perceive to be more “together” than we are, we’re really just expressing the negative feelings we have about our own careers, or bodies, or relationships." I think we can all agree that we don’t enjoy comparing ourselves to every women we meet, or feeling like something has been taken from us when another women at work receives accolades or a promotion. It’s exhausting to place yourself in competition with every woman you know. That energy could be so much better spent. Ann’s solution is a simple one. "When you meet a woman who is intimidatingly witty, stylish, beautiful, and professionally accomplished, befriend her. Surrounding yourself with the best people doesn’t make you look worse by comparison. It makes you better." When we think of what Shine Theory looks like in action, I put forth that it can be broken down into three groups. Amplification, Celebration, and Connection. Amplification is a strategy that was engineered by a group of female staffers who worked at the White House under President Obama. It’s a simple tactic – whenever a woman made a key point in a meeting, other women would repeat it, while giving credit. This straightforward act forced the men in the room to recognize the contribution, while also eliminating the chance of one of them claiming the idea as their own. “We just started doing it, and made a purpose of doing it. It was an everyday thing,” said a former aide to the President, who also noted that Obama began calling on women more frequently as a result of their amplification strategy. Celebration can be difficult as our society constantly encourages competition between women. From who wore it best columns, to shows like the Bachelor, women are conditioned from a young age to resent the successes of their peers. Ann Friedman refers to it as “that icky feeling you can get in the pit of your stomach when you meet a woman who seems so together.” It’s not a fun feeling, and it’s one that many of us have a difficult time trying to quash, even if we know we’re being destructive. When a woman in your life achieves something great, celebrate! Applaud her accomplishments. If you feel that icky jealousy creeping in, my best advice for you is to fake it. It’s not easy to overcome a lifetime of competitive conditioning. Cut yourself some slack, throw a smile on your face and act happy. Then, instead of focusing on any lingering resentment, try to use the accomplishments of the women in your life as inspiration to achieve something awesome of your own. Soon you’ll find that icky feeling has all but disappeared. There have been some who have accused Ann Friedman’s original article of suggesting that women collect friendships with powerful people to selfishly use and benefit from them. It’s important to understand that this is not the case. 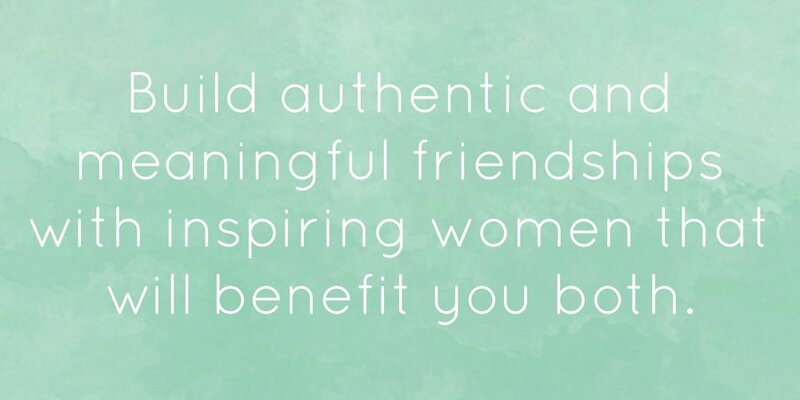 Instead, connection is all about reaching out to the women in your life who inspire you, and working to build authentic, honest, and meaningful friendships with them that will benefit you both. As someone who struggles with anxiety and depression, making friends has always been a challenge. What I’ve discovered is that once I began amplifying and celebrating the success of the women around me, friendships grew with ease. These friendships have enabled me to grow both personally and professionally, in ways I couldn’t have imagined. Finding my Girl Gang at work changed my life, and it can change yours too. In November 2016 I started a great position at a big, prominent tech company in my city. On my first day I had a realization—for the first time in my professional history, I’d now be working alongside women. As my first three months flew by, I began getting to know the amazing women in my department. I also gradually began opening up about my deep rooted beliefs and passion for the feminist movement. I grew up in a house of art and inspiration, with parents who encouraged me to think critically and creatively about the world. I have always been a feminist. It’s never felt like a radical idea or a bad word to me, but when I entered the tech industry in 2011 it did feel like something I needed to tone down, particularly in my professional life. Then everything changed. The events that unfolded on November 8, 2016 broke my heart and steeled my resolve in ways I never imagined. I made a vow to take my activism beyond my personal social networks. I started by participating in my local Women's March, and experienced the utter euphoria of marching alongside some 15,000 women and allies. I began to focus my spending on supporting local and women-owned businesses. I stepped up my volunteering efforts with a local NGO that works to provide scholarships for impoverished and orphaned girls in Nyanza Province, Kenya. Then I took a next step that, as someone living with crippling social anxiety, terrified me. I set out to make some professional allies. Although I didn’t formally pull together a group, once I set the intention within myself I realized that my wishes were shared by many of the women I work with. We started having great conversations, sharing our professional (and sometimes personal) goals with each other. We discussed the roadblocks we face, the grindingly slow process of promotion, the frustrations of bureaucracy, and the sting of ignored contributions. I shared this amazing article with my colleagues that shows shine theory in action. Within the walls of Barack Obama’s White House, women banded together. While President Obama was committed to diversity, many Washington insiders considered his administration to be a 'boys club' in its early years. In 2013, only 35% of cabinet levels posts were held by women. Determined to improve the situation, women began to make a point of amplifying each others contributions, speaking up when a colleague was interrupted, and supporting each other’s professional goals. By President Obama’s second term, he began calling more often on women. By 2016 half of all White House Department heads, as well as half of his senior aide positions were filled by women. My colleagues were as inspired by this as I was, so we decided to form a coalition. A Shine Coalition. We meet regularly to talk, share our triumphs, frustrations, professional goals, and passions. We back each other up in meetings, we amplify each others accomplishments, and we empower one another. I’ve found my Girl Gang, my people, my allies, and it’s making me a better person each and every day. 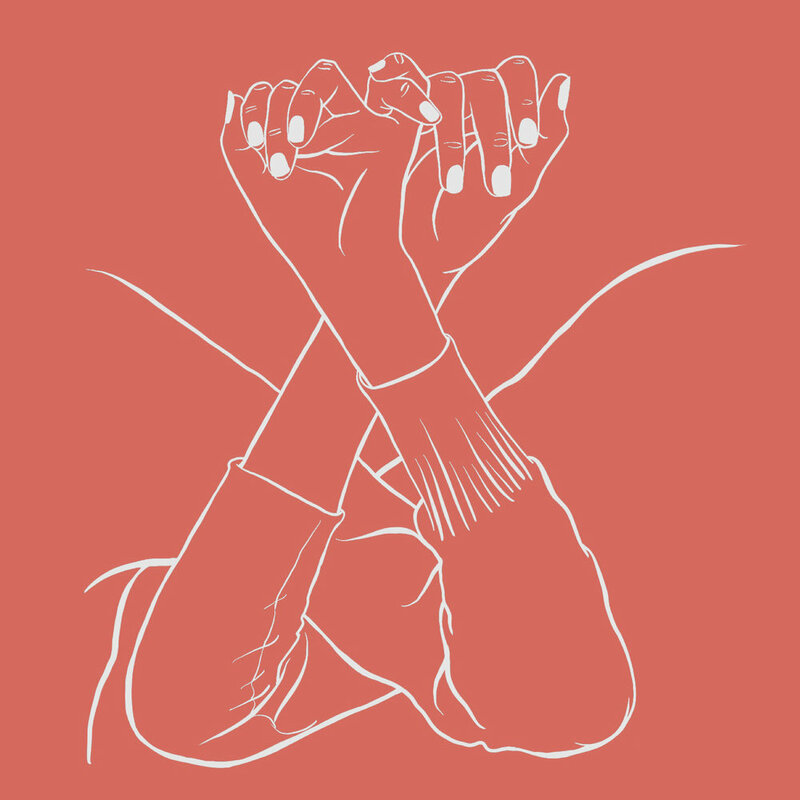 I created this website to serve as a safe space for women and allies to learn more about the power of shine theory, intersectional feminism, and professional development. I’m so excited to have you along for the ride.